This week is all about the much awaited FOMC meet. The Federal Open Market Committee meets between Jan. 29 and Jan. 30, and Chairman Jerome Powell is widely expected to acknowledge growing risks to the U.S. economy as global momentum weakens. Speculations prevailed in the market that the Federal Reserve will keep its interest rates unchanged during its two-day policy meet. This led to a spike in gold prices, nearing a seven month high during the day. But later gold steadied. Gold has a tendency to appreciate on expectations of lower interest rates, which reduce the opportunity cost of holding non-yielding bullion. Currently, the European Central Bank is seeing downside risks to the economy. ECB President Mario Draghi warned last week that a dip in the euro zone’s economy could be more pronounced, comments seen as signalling a delay in the bank’s first interest rate hike. Amongst this scenario gold is portraying a strong chance of solid upward movement. Furthermore, the US Fed is also expected to be more accommodative. The Fed has already raised its interest rates four times last year. It has even given hints that it might life borrowing costs twice in 2019. Analysts noted that Federal Reserve policymakers recently lowered their forecasts for 2019 from three rate increases to two. This should support gold. This uncertainty is bringing about a rally in gold prices. Moreover, global equities, particularly Asian stocks rose higher, as Wall Street rallied after a deal was announced to reopen the U.S. government following a prolonged shutdown that had shaken investor sentiment. There were great concerns over a slowing global economic growth and this shutdown has only increased the worries of the market. Not forgetting, the, signs of stress in corporate earnings and a still unresolved Sino-U.S. trade war. Meanwhile we also expect a rise in demand for gold, especially in Asia. Usually gold is bought in Asian countries for weddings, occasions etc. But lately gold is being purchased for investment purposes. 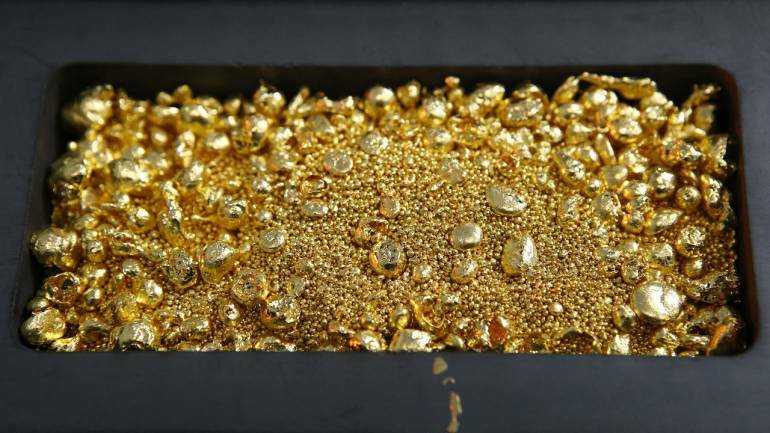 Investment demand for gold rises with an increase in wealth. In recent years, both China and India have rapid increase in the demand for gold, especially China. These countries have been active drivers of holding the metal in its physical form. Since gold has long been used as a safe haven asset the outlook for the yellow metal looks moderately bullish now. The main trigger for sustained higher gold prices comes in the form of a gradual asset rotation from equities and other risky assets into bonds and safe-haven assets such as gold, as mainstream investors seek protection from market turbulence, potential recessions and growing bearish sentiment. Moreover, the downside is somewhat limited, with current gold prices representing a floor, as bearish drivers are lacking, fundamentals are neutral and costs for the most expensive producers are close to current prices.